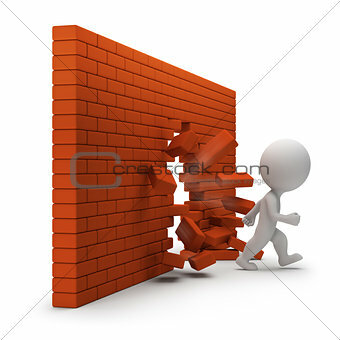 Image Description: 3d small person passing through a brick wall. 3d image. White background.